Student identity theft is a big problem for many college students who are just starting their careers. IN general, more than 17 million people ages 16 or older experience some type of identity theft every year. Young people and students are no exception because their identities offer valuable assets that criminals can use for their benefit. Why is student identity stolen? First, student identity is stolen simply because it's easy. Young people are often inexperienced and don't quite know how to keep their personal information safe. Today's young people also share more personal details publicly than ever before. Student identity can be stolen for student discounts at many locations including movie theaters and amusement parks. Identity thieves can also use a stolen wallet and library card to check out books, movies and video games that they can sell for a quick buck. This is a common form of student ID fraud that results in the student owing fines on books and media they did not check out. On the more extreme side of things, identity thieves can steal money intended for education such as student loans, grants, and scholarships. Young people may not have regular checks coming in the mail, but losing even a single living expense check can be financially devastating. In addition, stolen stolen identity in any area can damage the student's credit worthiness which can then cause student loan, grant, and scholarship issues. What are some of the ways that student identity is stolen? There are many ways that a student's identity can be stolen, both high-tech and low tech. Identity can be stolen by simply looking over someone's shoulder, stealing wallet and purses, or phishing online. Social media is a prime source for identity thieves. Many students interact and share information online. They sometimes share information that can be used against them. Using public wifi for accessing sensitive accounts, leaving devices unattended, keeping cell phones unlocked, clicking on malicious links, and filing out many online forms are just a few of the ways that students can give away their identities to criminals. In many cases, very basic information such as a name and social security number can be used to apply for new credit. This new credit is then used by the fraudster to make personal purchases. How serious is student identity theft? 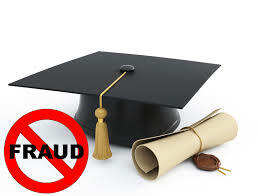 A research report discovered that 22% of students were notified that they were victims of identity theft. This is three times as likely as the average fraud victim. The costs associated with student identity theft can be massive. In Michigan, a man's identity was stolen and used to get $3,000 in student loans as well as a $6,700 Pell Grant. Even though the student filed a police report and a complaint with the Federal Trade Commission, the government still said that he had to pay back the student loan. What are the consequences of student identity theft? In many cases of identity theft, significant cash is lost and the recovery process can be agonizing and difficult for someone without the experience. If the fraud is left unnoticed for a very long time, the student may never notice until they have to apply for credit to get a mortgage loan, buy a car, etc. When this occurs, students may be subject to a higher mortgage interest rate as a result. With a mortgage of $250,000, a 1% increase in mortgage interest rate means an extra $2,500 paid each and every year. Which type of student is most affected? All students are at risk in some ways. Because they have a clean credit history that is often un-monitored, they are prime victims for identity thieves. College students tend to be victimized more often simply because they are out on their own and less aware of their surroundings than when they were protected by their parents. Students can protect themselves by guarding any personally identifiable information. This goes beyond account numbers and PIN numbers which also includes any personal information that is normally shared with friends. As mentioned before, young people like to share the details of their lives with everyone, but because secret question answers used for banking ask about personal life, fraudsters can take information openly posted to Facebook and access the account with it. It's also important to review debit and credit card statements. If you see something incorrect, contact your bank and let them know as soon as possible as major delays in reporting can prevent recovery of lost funds. Beyond that, professional credit monitoring services are a great way to monitor account activity and ensure no accounts are opened in your name. In some cases, this service is bundled and mandatory when enrolling in a university. Student identity theft will continue to be a pervasive problem and it's almost impossible to stop it entirely. At the very least, we can limit the impact by monitoring our credit and keep our personal information as secure as possible online and offline. Take an identity theft course online and get certified.